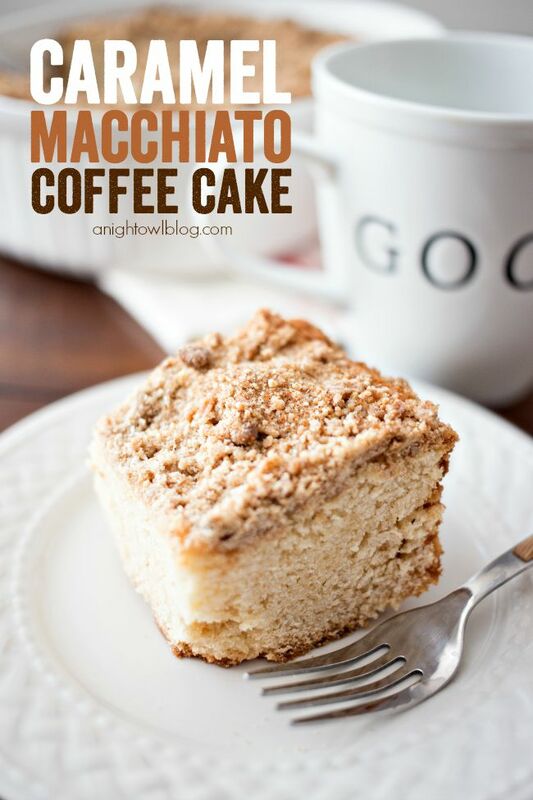 This Caramel Macchiato Coffee Cake is moist and delicious! Enjoy it for breakfast with your favorite cup of coffee! Hi friends! What is your favorite meal of the day? Mine is hands down breakfast. And no matter what I start out my day eating, you know that I love to enjoy it with my favorite cup of coffee with International Delight creamer. 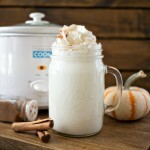 No my favorite creamer can change from month to month, and you know that starting soon I’m going to be enjoying all things pumpkin spice, but until then I’ve recently had my fair share of International Delight’s Caramel Macchiato creamer! 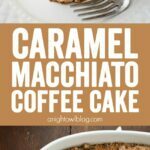 Now you can enjoy your hot cup of joe and Caramel Macchiato creamer with a delicious slice of coffee cake – that’s a favorite of mine! 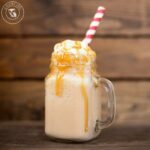 But WHAT IF you could infuse your coffee cake WITH the delicious Caramel Macchiato taste? Well my friends, that is JUST what we did! 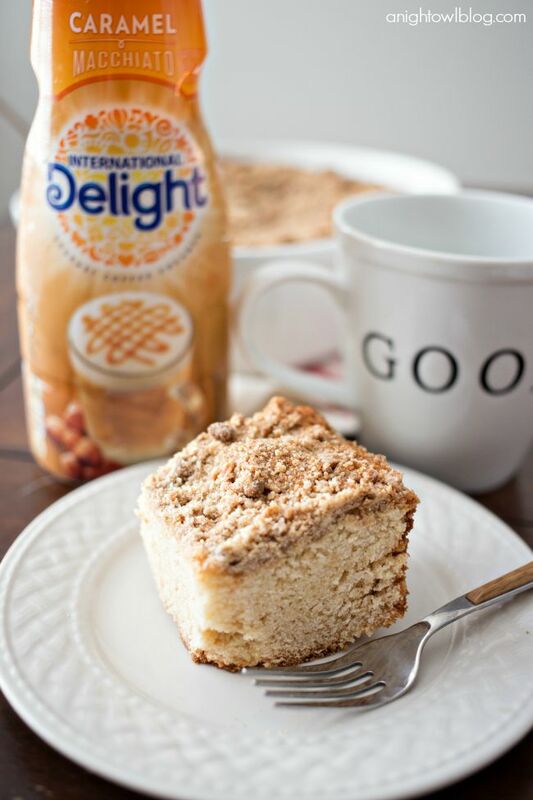 We turned a delicious classic coffee cake on it’s head with the help of International Delight. Stir together flour, brown sugar and cinnamon in a small bowl. Cut in butter with a pastry blender or fork until mixture resembles small peas. Preheat oven to 350°. Beat butter and cream cheese at medium speed with mixer until creamy. Gradually add sugar, beating at medium speed until light and fluffy. Add eggs, 1 at a time, beating just until yellow disappears. 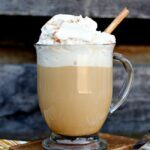 Sift together flour, baking powder and baking soda; add to butter mixture alternately with International Delight Caramel Macchiato Creamer, beginning and ending with flour mixture. Beat at low speed just until blended after each addition. 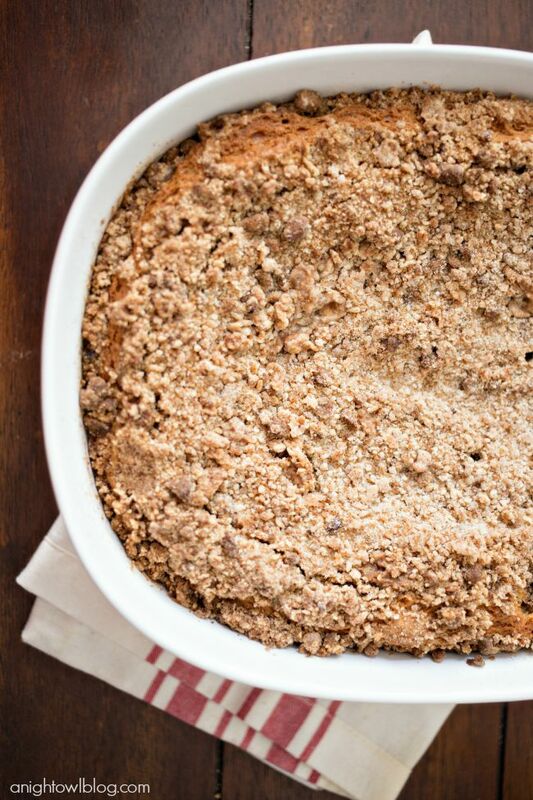 Pour batter into a greased cake pan; sprinkle with Crumb Topping. Bake at 350° for 45 to 60 minutes or until a toothpick inserted in center comes out clean. The result? 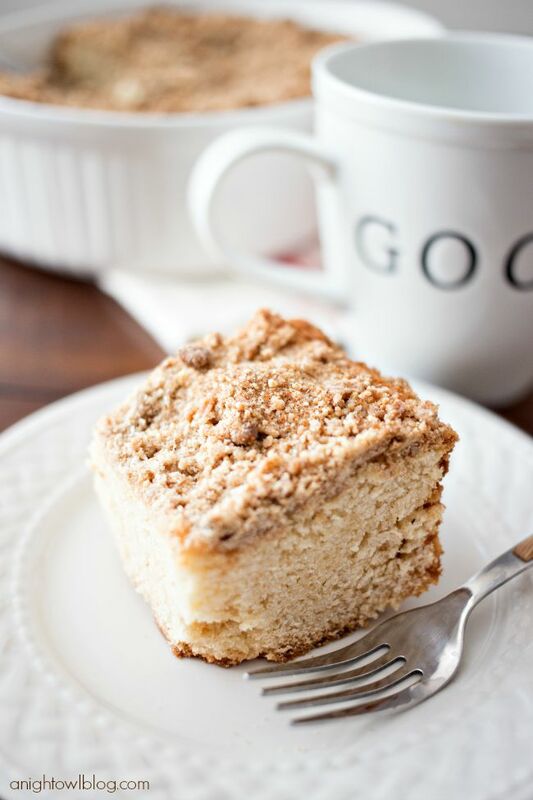 The most amazing and moist coffee cake I have ever made at home! This coffee cake looks delicious! 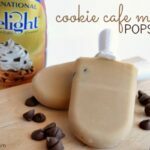 Definitely one of my favorite breakfast treats! Looks amazing! Thank you so much for partying with us… Pinning!